There’s been plenty of questions asked of Blackpool chairman Karl Oyston’s running of the club in recent months, with many fans claiming he’s dodged the big issues. Last week he met with a group from Blackpool’s Supporters Association and The Gazette were there to report on proceedings. Here’s a transcript from the meeting. Is the club now so toxic that players don’t want to come here? That’s one of the biggest mistakes supporters make about football. You think the club is tarnished and things, but we must get ten or more players every single day wanting to sign for us, football isn’t like that. It’s not the way you see it. But are they good players? Some of them are. The point was no-one wants to come here as we are tarnished, that isn’t the case. 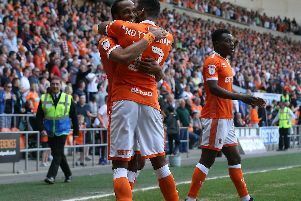 There are plenty of very good players who are experienced in the Championship around now, all of whom would come to Blackpool. Jose Riga has said only one of the players he’s signed were his choices, is that true? Two of his eleven initial players we signed, Sergei Zenjoz and Jose Miguel Cubero, but they’ve all been his choices. So they have all been Jose’s signings? He said yes to every single player we’ve brought in, we haven’t signed any players, not one, which the manager hasn’t approved. Is there any truth in the report he’s not allowed to sign any more players? Are you now fully behind Jose? Yes, we are not looking for a replacement for Jose. I think he’s a good coach and now we are sticking with him. We only ever looked elsewhere as a contingency plan when it looked like he was going to leave the club. Why did we let Harrison McGahey go to Sheffield United? It was the manager’s decision to allow Harrison to leave, he wasn’t interested in keeping him. We can’t sign players without the manager’s say so and never would. Why do we insist on one-plus-one contracts to our players? They are all on two year contracts effectively, if we want it to be. But we could be in a position of having no players at all come May? Yes. We’ve got from League Two to the Premier League using that tactic and we will continue to. It’s nothing to do with not wanting to pay wages in the summer, it’s about retaining absolute flexibility. If we have a player who hasn’t done it, we have the ability to let them go. When I took over at this club we had players on three years deals who were awful, and we couldn’t get rid of them. Why aren’t we offering extended contracts to the players who have done well? The manager decides who we keep. We generally do open talks with players earlier, but most of them want to sit it out and hope for more money in the summer. Where will we be in the summer if Riga doesn’t want any of these players? Well let’s play out the different scenarios. If this team comes good and Jose wants to keep them all for another season, we can. Likewise, if Riga went and someone else came in this summer, we wouldn’t be stuck with a load of players the new man didn’t want. Have we got loads of money in the bank? In 1987 the net assets of the Football Club group were -£42,000. In 2013 it was they were positive at £25m with fixed assets at cost of £31m. Money isn’t a problem for us, it’s spending it effectively on staff and playing staff which has been the problem in the last couple of years. I keep reading about this money you’ve put to one side, can you explain it to me? All you have to do is to look at the accounts and where we’ve come from as a club to where we are now, we have £25m in the bank. It’s an easy thing for football supporters to say. When we’ve got problems and the manager is saying our players aren’t good enough, yet we are loaning money out to other businesses, the perception is we aren’t spending money on players, but the other businesses are? The Football Club has no money problems at all, lack of money isn’t the issues. It’s effective use of it. In my opinion that’s been our problem for some time now, I’m not saying that’s not my fault. The day I start picking the team is the day you should start moaning to me about the players we have. Not as many people are coming to games now and using the facilities, aren’t you concerned the money will drain away? There’s a direct impact on income and the player expenditure the following season. There’s a direct correlation. So you’re saying the lower attendances will mean a lower budget next season? Not just gates, all football revenue will have an impact. Why would it when we have £25m in the bank, surely that money would be used? That money is to subsidise the club going forward, if we need to, that’s the whole idea of it. If revenues drop in the future it doesn’t mean we need to go into administration, we can just pull it out of the pot. Are you winding the club down? I’ve yet to see a good reason anyone would say that, it’s a stupid thing to say. This year we’ve been beaten on the pitch and ridiculed in the national papers, don’t you think we need one or two more good players to improve the squad? When we were in League Two people said we needed one or two more players, spend some money. It’s the same at every club whoever you are, people always want more. I agree we are on a downward spiral and we have to reverse that, otherwise we’ll end up back where we were, which would be just awful. When we sat here in March last year we spoke about Barry Ferguson, we all agreed the summer would be a fresh start and were excited. The upturn never happened and everyone knows that’s not happened. We are all fed up, how are you going to get these people back on your side? Well it’s not my side, is it? If people want to make the distinction want to not come and watch their club because I’m in charge then that’s their choice, but it’s ridiculous. That’s their choice and their loss. But it’s not their loss, it’s all our loss. The empty seats aren’t good, you’ve let these fans drift away. Well we’ve not let them. People want to see a winning team, they don’t care about the style of football. If we produce a winningteam those people will return. Ideally we’d want a full ground with everyone happy, that would make us stronger. As a business we’ve grown the support base massively as a result of many things, the pricing strategy being one. How much money is to come back into the club from the loans out? It’s there for when it’s needed. Do you know how much is to come back? No, I’ll focus on that when the £25m isn’t there. Read the accounts, it’s all in there. How much did we get for hiring the ground out for the Rod Stewart concert? Nothing. We said to people we’d either split the revenue or take the catering proceeds. We agreed the latter in the end. They took the huge financial risk. As a business we made something in the region of £200,000, which has gone to the football club. What about the cladding under the West Stand, it’s embarrassing? We are getting it done, it will be getting done in the next couple of months. There have been complaints about the state of facilities in the away end, is it good enough? Well we’ve had no complaints and the council haven’t raised anything, so that’s news to me. We comply with all the regulations in terms of toilets and facilities in the East Stand. Is there a life span on the East Stand? We would have to go back to planning after a few years, but there’s no life span issues. Previously you said you’d be opening up the areas underneath blocks L and M like they used to? Yes, but not until at least December 2015 when the first lot of the PCT staff move out. When that happens we will move the 53 club to there. What is your view on members of your family winding up supporters online? I think if people give it, they should expect it back.I see it as my children standing up for themselves in many cases which I support. Are the football club taking action against individuals for comments made? Yes we are. I’ve always rolled with the punches and the abuse has never bothered me. But it got to a stage where some of it was becoming damaging. A lot of the anger has been down to misinformation and when they happens we have to protect the business and that’s what we’ve done. It’s the first time in 16 years we have taken action and we will take it as far as we can possibly take it. Would it be an idea for you to employ a PR spokesman? Communication or lack it is something always levelled at a football club for being bad at. Then when The Gazette ask me to write a column, it seems to result in mayhem every time I say anything. We will always communicate and I would never put someone else in the spotlight. Your column in The Gazette is good, but wouldn’t you be better to get someone else to do it? People want to know what’s going on, so I try to let them know in my column. At the games people have been bringing flags into the stadium, does that bother you? I have no problem with that at all, as long as they comply with ground safety rules. On Friday there were a number of protests about the way the club is being run, what do you think of them and will it change you? Any protest which breaches ground regulations is dealt with by our ground safety officer, the rest I have no problem with at all. If people want to protest, there’s no problem at all, as long as it’s within the rules. No protest will never have any impact, it can’t. I’ll carry on doing exactly the same as I always have. Have we been warned by the Football League about the protests? No, because we took the correct action and dealt with it appropriately there’s no problem with that. If we got to the Premier League again, would the club be ready? Yes, last time we were caught out by the East Stand and press facilities, we are pretty much ready for it again now. If it happens again it would be a far less of a problem as it was last time. If we got relegated would you close the East Stand? No, we’d keep the whole ground open. Have you considered having a CEO or someone who distance yourself slightly from the manager? No. It will always be me in charge, I’ll never have a CEO. I would never allow anyone else to make major decisions in the football club and there’s no point having a CEO with no power. Do you think Matt Williams has been a big loss? Of course, Matt was here for 12 years, but he moved on for the right reasons. But you should never go back. What’s your vision for Blackpool FC? We all know what the ambition is, we want to finish as high up the table as possible and push on. How do you measure the success of the club? You all want me to say to win the league but I look at it another way. If the club is a wreck as a business it’s never going to do anything as a football club, so if the business is strong, the football should be strong. That isn’t the case now and clearly we need to address that. My main aim is to make sure the club is in charge of it’s own destiny. If you had to chose between the business being strong or the football? Business, every time. It’s not a choice though, if you get one right the other should follow. What three qualities do you possess which makes you on top of your game, and are you on top of your game? I’m probably not, it’s been probably the second most difficult period I’ve had. When I took over the business and the football was poor, at least it’s just the football at the moment. As for the qualities, in my opinion, my stubborn streak and not being swayed by popular opinion. How successful has the hotel been for you? I get a report on email every week about the hotel and it’s going well. It’s reasonably good and as good as anything else in Blackpool. Would we go through the process of signing a player who needs a work permit again, bearing in mind the problems with Jose Cubero? Yes, we would without doubt if the player is good enough. Do you think we have too many overseas players? I think we should never have more than five or six to be honest. Can you give us three reasons to be optimistic? We are over the worst now, that’s very important and whatever happens now we are in a better position internally. We will be improving our recruitment policy and learn from our recent problems. And come what may, the club is in good shape.